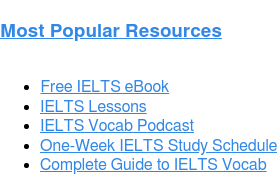 Home › About the IELTS Exam › IELTS Frequently Asked Questions › Who Are the IELTS Examiners? Your IELTS Speaking and writing performance will be scored by human examiners, based on a rubric. But who are the IELTS examiners? What sorts of people will rate your IELTS responses? Let’s find out. Who are the IELTS examiners, in terms of qualifications, experience, and training? All IELTS examiners have a bachelor’s degree. And their studies must include past coursework or earned qualifications in ESL instruction or education. IELTS examiners also are also hired on the basis of actual teaching experience. 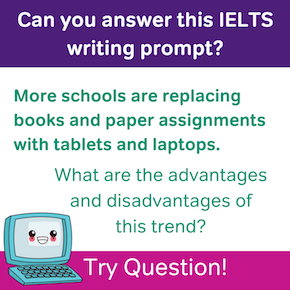 Upon starting work as an IELTS examiner, individuals must have three years of ESL teaching experience, and more than half of that experience must be with high school students and adults, the main age groups of IELTS test-takes. Once they’re actually hired by IELTS, test examiners go through a lot of workplace training. IELTS examiner training includes specialised certification in IELTS Speaking and Writing. After IELTS examiners are certified by Cambridge and the British Council (the sponsors of the IELTS exam), they receive ongoing training so that they can stay up to date on all IELTS standards and practices. Every two years, the examiners complete recertification training and testing as part of their work responsibilities. What countries do IELTS examiners live in? IELTS Writing examiners must reside in the United Kingdom because all IELTS Writing responses are reviewed and scored in the IELTS’s UK facilities. IELTS Speaking examinations are given and scored in local testing centers throughout the world, so IELTS Speaking examiners live in every country where the IELTS is taken. 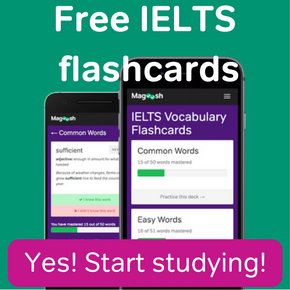 What types of English do IELTS Speaking examiners use? Contrary to popular opinion, IELTS Speaking examiners are not required to be British English speakers. They may have a variety of other accents from the British Isles (Welsh, Irish, Scottish, etc…) and they can also come from a background of Australian, New Zealand, or North American English. While it is common for IELTS examiners to speak in one of the native forms of English listed above, the examiner who administers your IELTS Speaking test to you is not required to be a native English speaker. Non-native English speakers with high English ability also work as examiners. So if you take the IELTS in your home country, it’s distinctly possible that you’ll sit IELTS Speaking with one of your fellow citizens. 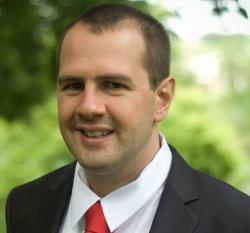 Is there any advantage to getting a Speaking examiner who is from your own country? Officially, the answer to this question is no. 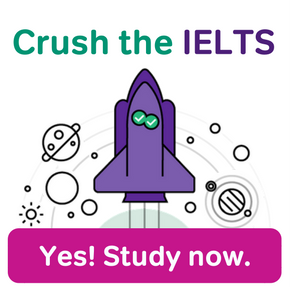 The makers of the IELTS give all of their examiners the same training, regardless of an individual examiner’s language background or country of origin. IELTS examinees are all taught to hold test-takers to the same standards. So it seems like there may be some advantage to taking the IELTS in your home country, rather than taking it in a native English speaking country. There is no absolute guarantee that you’ll enjoy this advantage, though. Like I said, the IELTS does everything it can to hold test-takers to similar standards across the world. 11 Responses to Who Are the IELTS Examiners? As an IELTS examiner myself I can let everyone know that it is not possible to be ‘lenient’ in any way when examining. And it is a myth that examiners assess your speaking differently in different countries. Sorry if that’s what you were hoping for. Thanks for your comment, Kevin. And it’s an honor to have a bona fide IELTS examiner weigh in on this. I’ve still definitely heard persistent rumors of regional leniency, but I’ve corrected my blog post to make it clear that these are just rumors, and that no student should assume they’ll be graded differently at a given test site. Also an examiner and examiner trainer, I strongly disagree. Plenty of inexperienced examiners give scores that are highly variable, and monitoring of examiners between ‘official monitorings’ is minimal. While you shouldn’t count on being scored leniently or harshly, these types of events are regular occurrences and not rare by any stretch of the imagination. Also, I track scores of my students in different countries and the scores in China are statistically low compared to other countries.The examiner pool in China is relatively inexperienced, and I believe this is the reason for this, and it is not any type of conspiracy against Chinese students, as I have heard many times. In my analysis,which is admittedly small at around 100 tests total ( 75 test takers for ‘other countries’ and 25 for China), I have factored in Chinese students taking the test outside of China, and had statistical analysis done on the data, and this is indeed an unfortunate fact. The possibility of the results being different due to chance is approximately 1 in 10,000. Also, the remark rate seems to be correspondingly high in China, as one would expect- a remark of a test taken in China is essentially the same as the test being taken outside of China. I don’t have enough data to confirm this yet, but will within the year. Very interesting additional thoughts, SP. If I can add my own perspective tot he debate, I think the problems and irregularities that are being either alleged, confirmed or discussed here speak to a bigger problem: how to make mass standardized testing consistent and accurate. And transparent and fair for that matter. It’s not an easy task for any organization, I think! Thanks for your reply. Are writing tests marked at the local test center or elsewhere? When I asked my center, they said it was marked in Australia but I don’t believe them. I feel that I have been discriminated against since I used to work at the center. I got 6.5 in writing and 8.5, 8.5, 8 for S, L & R. I’ve taken the test 2 times before and I got 7.5 (2016) and 8 (2017) for writing. Michael, thank you for referencing that interesting study. I hadn’t heard of that before, but I was able to find full text of the study on ResearchGate. If the study’s findings are correct, Carey, Mannell and Dunn (2011) research article indicates that IELTS raters may indded “grade easier” in a non-native-English speaking country. If I’m interpreting the paper correctly, if an IELTS rater is more familiar with a certain accent, they might give better marks to speakers with that accent. So for instance, an IELTS Speaking interviewer who lives in China and works ina Chinese test center might give higher marks to someone with Chinese accented English, simplybecause they are more familiar with that accent. In contrast (according to the study), someone with Chinese accent might get lower marks from an IELTS Speaking interviewer who lives in–say– Thunder Bay, Ontario, where there are relatively few Chinese accented English speakers. Michael, I can tell you that I experienced and had to fight this sort of bias personally when I did language level testing for ESL students at an American university campus. After several years of living in Korea, I had a tendency to give higher scores to Korean students who took my campus’s uni entry English interview. The college I worked for compensated for these kinds of potential biases by having multiple raters give scores on recorded interviews, and by having ESL program managers meet with raters, post-interview, to identify and correct possible bias. Dear all, I have sat IELTS more than once and felt that there is lack of transparency as the contributor mentioned in earlier comment. To cut a long story short, I aired my frustration with administrator of this particular centre.He advised me that all components are scored externally, however, I feel that following my complaint, or an email to highlight my dislike, my next test was scored even lower. My question to you all is that is it possible that subjective bias may have crept in whil scoring the test? That is a great question! Of course, one would hope that complaining to a test center administrator would not cause scorers to be biased toward you. But it is worth asking if that’s possible. For your Reading, Listening, and Writing scores, bias based on your test center interactions is pretty much impossible. 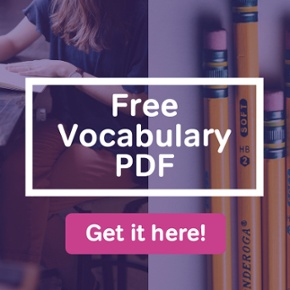 For those three sections, your scores are given by people who work outside of your test center, and have no real contact with anyone who works in your test center. Only Speaking is graded by someone who works in the test center. IELTS Speaking scores are issued by the interviewer you meet with. Would the interviewer be biased toward you based on your complaints about the test center? Again, hopefully not. Interviewers are trained extensively, and their training tells them to stay neutral and unbiased. But it’s possible the interviewer could have some bias in your situation, since they work at the testing center. If you’re reasonably certain that your Speaking scores show bias, I recommend requesting an IELTS rescore. This will allow your Speaking scores to be reviewed by a third party, someone who does not normally work with your individual test center.